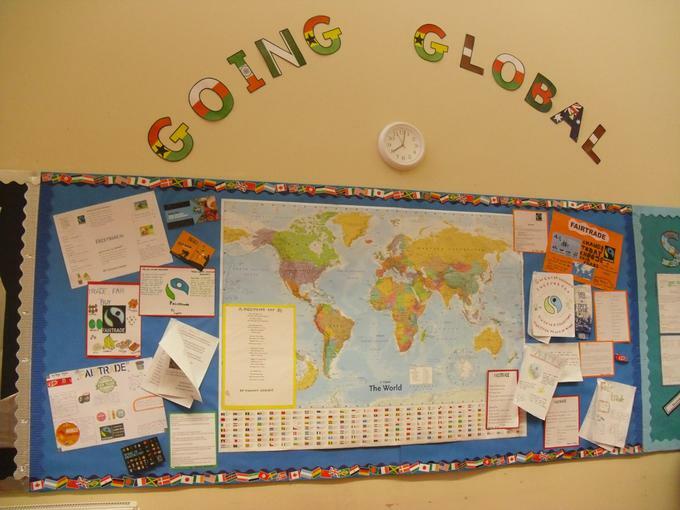 Geography at Grove Primary School is taught through topics that are chosen to help develop and further children’s knowledge of the world around us. It begins in the Foundation Stage where children are encouraged to gain a sense of understanding of their local environment and begin to develop awareness of others in the world, changes and developments over time. From Key Stage One onwards pupils are taught key geographical skills in order to develop knowledge about the world, the United Kingdom and their locality. They are taught how to use and understand subject-specific vocabulary in relation to Human and Physical Geography and develop skills to enhance their locational and place knowledge. Our children are also taught to develop geographical skills through first-hand observations and field trips where appropriate. Here are some photographs of the amazing Geography work taking place within our school. As you can see the children have been working very hard to learn about different topics and are developing their understanding and knowledge of world issues. Within Upper Key Stage Two the children are currently learning about fair trade and are exploring the concept of human geography including economic activity and trade links. The children have been working really hard to investigate the origins of everyday food, and describe and understand key aspects of human geography. "I love Geography. It is a really fun lesson as you find out so many new things!" "Its good because you find out how other people live and how other countries are the same and different to ours. It also helps you to learn about other cultures"
Within Lower Key Stage 2 the children are currently developing their understanding of volcanoes, mountains and earthquakes. They are beginning to describe simple concepts of physical geography. During a recent pupil perception interview with some Year 4 children they used good geographical vocabulary to talk about their topic work. One child said "We can learn about the world we live in." Another said " I find it really fun when we do Geography and learn about other places. It makes me want to go out and explore!" 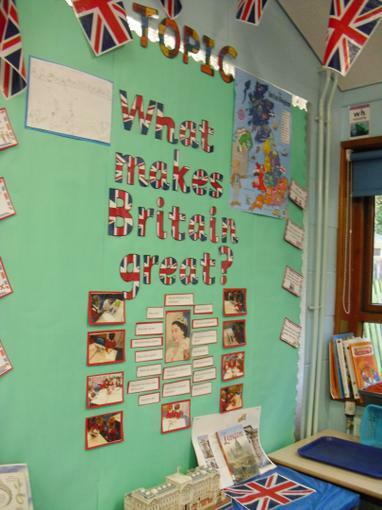 In Year 2 the children are currently learning about Great Britain. They are exploring the different countries and cities that make up Britain. A group of Year 2 children were recently involved in a discussion group about Geography and were able to talk about what they were learning. One child expressed a real enjoyment and interest in the subject when he said, "When I get older I want to explore different countries and learn new languages!"